Macgregor is Managing Director of National Water Brokers. After 6 years as Senior Broker with one of Australia’s leading brokerage firms, Mac could see there were opportunities to better service his key clients. His brainchild, National Water Brokers was born in September 2012 and has gone from strength to strength since inception. After taking on a new CEO in January 2013, Mac has moved the company a step closer to making National Water Brokers one of the country’s leading brokers. He is also a member of the Australian Water Brokers Association. Duncan is the CEO of the company and Vice President of the Australian Water Brokers Association, stepping down this year from President. 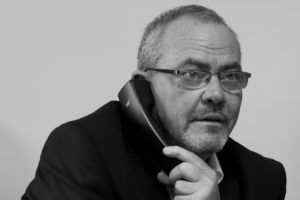 He comes to National Water Brokers with over 30 years’ experience in the conveyancing industry, 25 years of that as a partner or proprietor of conveyancing practices. Duncan brings a wealth of experience to the team. His qualifications include a Bachelor of Arts (Geography) and a Graduate Diploma in Property and he is currently completing a Bachelor of Laws. He wrote elements of the conveyancing course at the University of South Australia and was an active member of the Australian Institute of Conveyancers (SA) Inc. for 25 years. His work as a Conveyancer has seen him gain substantial experience in the development and negotiation of major projects with a strong focus on liaison with project principals, contractors, public boards and trustees. 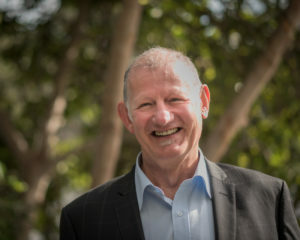 Jeremy has a strong connection with rural and farming communities having grown up in North Eastern Victoria into a farming family. Jeremy sought work “off farm” as many do, studied a trade then started working for Water NSW in the Hume Dam operations. He later went on to work for the NSW Office of Water as a Water Regulation Officer. In 2016 Jeremy was awarded the privilege of being inducted as the Young Apexian of the year. He has been working in Water Brokerage Industry for three years and with his affable nature, strong ties to rural communities and a sound knowledge of water compliance rules, he is an ideal choice to assist Irrigators in their annual water needs and the development of strategic plans into the future. Call Jeremy for any of your water needs. Jacqui has been involved in the Water Industry for 12 years, previously as the Water Trading Officer with Central Irrigation Trust in the SA Riverland. Her exceptional experience with local growers in the Riverland and Lower Murray Water ensures she understands irrigator’s needs and you can be assured she will able to attain optimum results for her clients. Call Jacqui at any time for the latest on temporary allocation or permanent entitlements.